How Super Construction Plus WordPress Theme works? Super Construction is upgraded version of Super Construction theme. It is highly customizable, easy to use and modern WordPress theme for construction companies, architectures, and builders. 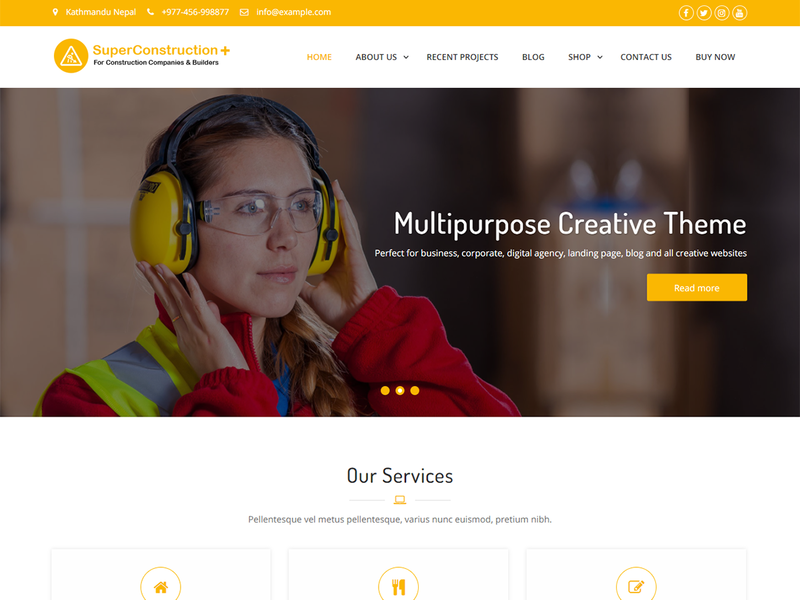 Super Construction Plus is a clean, responsive and SEO friendly theme. This theme is flexible enough to use for business, corporate, blog, digital agency, portfolio and other creative website development.